It’s that time of the month again! – No, not that time. December has come and gone, with lots of fresh income, but also more expenses than usual. The conventional wisdom that the Winter Holidays take a huge bite out of everyone’s budget turns out to be true, at least in my case. Thankfully there’s a nice year-end bonus to balance things out. Last week I already offered you guys a glimpse of what December’s savings rate would look like and I’m happy to say not much has changed. Overall December was pretty great. Not only did I discover that I actually like my overly busy job, I also got to visit my best friend in Dublin for four days. To top things of our office closes between Christmas and New Year’s Evening, so I had one entire week to recharge my batteries. I finally had some time to enjoy my new graphics card, also known as November’s big splurge. Alas, one of my computer screens decided to give up the day before Christmas. It wasn’t meant to be. This gave me lots of free time to work on this blog, however. As a result, I have a rather steady stream of upcoming posts lined up. I’ve also been reading up on improving my website’s visitor experience – that’s you! – so I’ll most likely try some things out over the course of the coming weeks. Let’s take a look at December’s numbers. Apparently, December turned out to be my biggest month of the year yet! Any monthly income that starts with a three is excellent in my book, but raking in almost €3,400 topped my wildest dreams. Who knew a big bonus at the end of the year could make such a difference? Everyone except me, probably, because I didn’t even know how much it would be until it hit my bank account. Dividend income was moreover top notch the last couple of weeks, like I wrote about on Saturday. It’s incredible to see December’s dividends stand at 2% of my regular paycheck already. I’d say only 98% more to go, but that’s only the case when the difference between my income and expenses is effectively zero. So let’s see how much I spent last month. At just onder a thousand Euros I’ve had a pretty expensive month in absolute numbers, but relatively speaking it could have been much worse. Most of December’s expenses were one-off items, such as a ton of museums and restaurants in Dublin, a bunch of games on sale, Christmas gifts and a huge batch of booze because everything was 25% off. Together these things account for almost €300 of money spent, which isn’t too bad. All in all it’s great to see December’s savings rate end up at 72.5%. That’s completely in line with the average performance of previous months, so my bonus actually proved to be an excellent counterbalance against my spendthrift. I’m also happy to see my savings rate jump back over my goal of 70% from November, when I managed to save only 60%. And what happened to the €2,456 of savings? 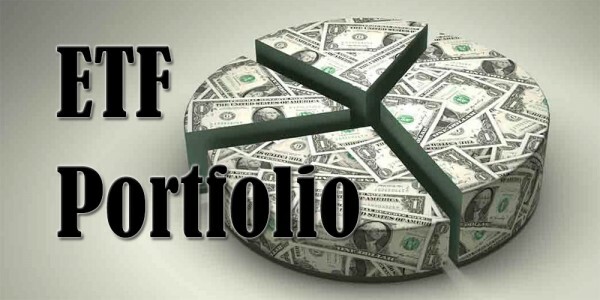 I invested them in another batch of high-quality dividend growth stocks. Like many other investors did before me, I finally pulled the trigger on six shares of International Business Machines (NYSE:IBM). British healthcare and household products manufacturer Reckitt Benckiser (LON:RB) is now also part of my portfolio. I bought these companies with my bonus money right before putting December’s net worth update online. When my normal paycheck hit, I quickly deployed some more capital in US-based telecommunications provider Verizon Communications (NYSE:VZ) and British distiller Diageo (LON:DGE), whose Guinness brewery I was happy to visit while in Dublin. On top of that I doubled my position in Unilever (LON:ULVR), a company boasting magnificent long-term potential with a great product line-up. Because oil and commodities kept falling the past few weeks, averaging down on BHP Billiton (LON:BLT) also seemed like a smart idea, so that’s what I did. If you’re interested in my past performance, look no further. I’m happy to say that I’m doing much better than I had hoped when I started living on my own in August. With 2014 now being history, it feels great to say I managed to save 72.7% of my net annual income. According to the almighty savings rate table that means I should be able to retire in just under eight years, which sounds surreal to be honest. Ultimately it also sounds like everything I’ve ever wanted, so that’s why I decided to stick to my 70% savings goal for 2015. Financial independence by 40 sounds great, but if it can be done by the time I turn 35, I definitely won’t say no. That’s why I hope I get to enter lots of income and very few expenses next year in the budgeting spreadsheet I created. How did you do in December? Did the Christmas gifts and dinners leave a big crater in your 2014 budget? I hope everyone was happy with his achievements in December, but also with his average savings rate throughout the entirety of 2014. Whatever the case may be, let’s topple last year’s savings rate and make 2015 our most frugal year yet. That’s crazy!!! in a good way. How did you manage to save up to 70% for Dec in spite of all the presents and dinners and the festives. Dec totally blow my budget away and I am now appending onto the wounds. Luckily we have past that stage now that it’s back to a normal days and a new year. Great years ahead of you my friend. Even though the holidays are more expensive than usual, I didn’t spend too much on gifts. Having a small family definitely helps in that regard. On top of that, my monthly income is over €1,000 more than usual! Don’t worry about having a bad month! December is tough on most people, but if you manage to pick up the savings pace again in January you won’t even notice it in the long-run. Your savings rate is amazing. You blew it out of the park in December in spite of increased expenses. I loved that you were able to invest the surplus in dividend stocks to further increase your income. Financial freedom at 35 would be amazing indeed. My spending was higher than average for December (as usual) as I went out with friends and bought more drinks and food. I haven’t tracked my savings rate in 2014 but will do so in 2015 as part of the Moneystepper’s Challenge. So we will see going forward how well I do. I’m glad you’re starting to track your savings rate next month. Without a doubt doing so will help you discover a couple of spending areas you can improve in. Well done on achieving an awesome savings rate for December, despite all the crazy money that seems to slip out of our hands during the Christmas holidays. Gotta love those year-end bonuses for being able to keep things balanced! T’s bonus helped us stay afloat this month too. I don’t know what’d we’d have done without it. Despite having saved money towards Christmas, it still seemed to get slightly out of control. There’s always something unexpected, but I also like to be generous too, so I’d rather spend a bit more on gifts or charity donations, since it benefits others. Thanks for the support, really appreciate it! I’m glad you managed to stay afloat too even though you have bonus money to thank for that. Generosity and charity are two very noble expenses I wouldn’t forgo simply to achieve a higher savings rate if I were you. They adorn you as a human being. I definitely deployed a lot of new capital on the LSE, thought the British economy could use it! 😉 It’s just that there are a lot more steady dividend growers in the UK and a lot more information on them than any other European country. Oh, and the 0% withholding tax doesn’t hurt either. Loving the 72.5% savings rate and that you’re able to deploy that money into buying more stocks. Keep up the good work. That seems like quite a lot of buys for such a small sum 🙂 So far I’ve been enjoying free trades with Binck but now that my free transaction credit is nearly depleted I’m probably going to stop making small buys. Lots of purchases indeed! I also deployed some spare capital I had in my emergency fund, although I’ve been enjoying free transactions too at Bolero (so small purchases were no issue). They’ve been a huge help in quickly diversifying my portfolio. How is your experience with dividend payments at Binck? Also, I was thinking of checking out De Giro for small zero-cost monthly purchases. Maybe that’s a cost-effecient way to build small positions in multiple companies at the same time. Any experience with that too by any chance? Overall my experience is pretty good but there are some drawbacks. Most dividends appear in my account on the payable date, for UK shares it seems to take a few days longer. Other than that, one major con is that Binck doesn’t support stock dividends for UK shares. French dividend tax is also easier with Bolero according to what I’ve heard. To get the reduced fee, Binck requires you to fill out a form that has to be co-signed by your local tax office. This process has to be repeated every year to qualify for the reduced dividend tax rate. I have no experience with DeGiro, I have to admit the banking crisis made me a bit wary of trusting my money to small, new players. Their custodial account should be safe but for dividend processing they charge a fee of 1EUR + 3%. Your experience confirms my own beliefs of Binck. One of the main reasons why I moved to Bolero is because of the quicker and easier dealing with foreign dividends. The downside to that is that it’s costing me some money every year. Even though Binck has a pretty decent trading platform I vastly prefer Bolero’s new platform. 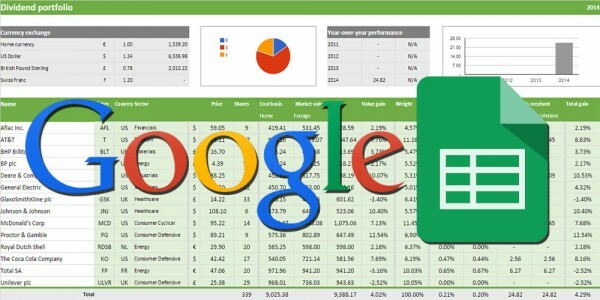 It is incredibly quick, has some of the best information on offer and provides lots of tracking tools and charts. I’m wary of DeGiro too, especially because they preserve the right the swap your securities with third parties. The custodial account doesn’t do that, but the fee for processing dividends simply is too high. The new Bolero platform looks pretty good, maybe I’ll consider signing up if they offer another free transaction cost promotion. The free transaction credit is one of the main reasons I signed up with Binck, these promotions are indeed of great help to diversify. By referring a friend every once in a while, I’m hoping to get more of these 100EUR transaction credits. By the way, speaking about taxes: I recently heard the Belgian taxman typically treats spin-offs the same way as dividends. This means we’ll have to pay 25% tax on the BHP Billiton’s South32 spin-off later this year, yikes. It’s true that we have to pay 25% on spin-offs. I had that happen to my RB position. In the end you’ll be better off, so don’t worry about the 25% of taxes. I believe BLT’s market value won’t go down as much as the spin-off is worth because BLT is highly undervalued already. I’ll be on the look-out for Bolero promotions and will let you know if I can refer to you so we can both enjoy free transactions. Wow great savings rate yet again. 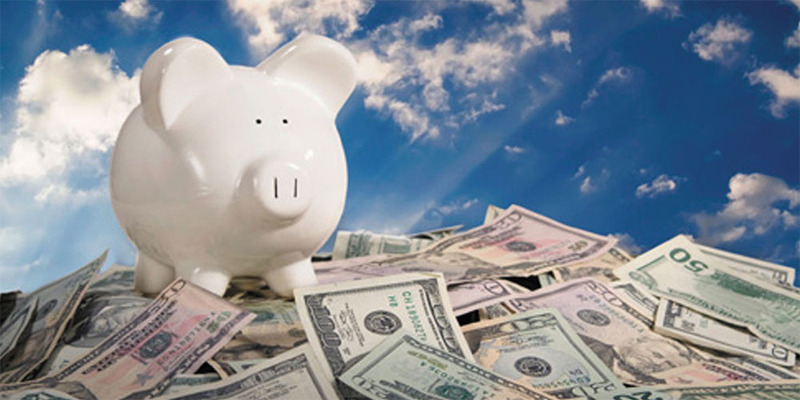 You are destined to have a big 2015 at this savings rate. I sure do hope so, AG! I’ll try to keep it up. Awesome job NMW, of keeping your savings rate and holding yourself accountable with a ledger style budget. You’re on a good path and I’m sure you’ll do even better with dividend income added to the mix in this new year. Take care. Thank you for the kind words! Writing down every transaction in my spreadsheet definitely helps me keep my eye on the ball at all times. It’s weird because after a while you start to think in savings rates rather than actual money. The dividend income this year definitely will help bump up my savings rate. Sorry to hear your monitor died. Ouch. Excited to see the new user improvements around here so I can steal what works from you! Thanks, but it’s fine! Just received a message from the store that it’s back on its way to me, fully repaired. Let’s hope it stays that way this time. You should be seeing the first improvements already as I am using another theme and have added a lot of plugins that I’ve changed to fit my own needs. Let me know if you like it. As I have mentioned before NMW great job on the 72% savings rate very impressive. It being able to watch how you achieve such a high savings rate and know there is someone else crushing a similar savings rate as myself. Thanks for sharing and reaching FI by the age of 35 will be an amazing accomplishment! Excellent savings rate for the month as well as the year. Super impressive stuff, my friend! I’ve never been able to get to 70% for an entire year. That’s fantastic. Even better, the odds are that it will improve over time, as I’m sure your income and dividends will grow much faster than your expenses. Thank you very much for the kind words. Means a lot to me that you find time in your busy schedule to read up on my progress. 70% sometimes still sounds surreal to me! 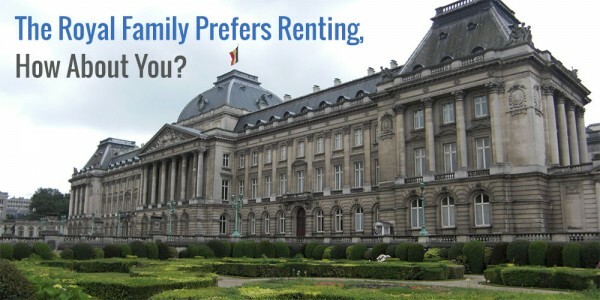 I never believed it possible, but it turns out that Belgium really is quite cheap to live if you only need to cover basic living expenses. Health care is basically for free and great public transport makes car ownership unnecessary. That’s two major expenses gone right out of the gate. I’m really looking forward to seeing my future dividends push my savings rate higher. Keep it up over there! You’re motivating a lot of other people to do the same and live a financially free life. NMW, You could say my December spending left a large crater. Haven’t posted about it yet but I saw my gift spending keep sliding upward as the month progressed. Yours is awesome on the other hand. Even the costs to Dublin seem low compared to just a weekend trip for my family. Keep at it. You shouldn’t compare my budget to yours – a family with children. When you’re all by yourself it’s really easy to save money because it’s just you. Don’t beat yourself up about having a rather expensive December. I hear it’s quite normal for larger families. City trips in Europe are quite cheap in general. Plane tickets cost next to nothing from one major city to another and because I know so many people abroad, there’s always someone whose couch I can sleep on. Don’t let one bad month drag you down, buddy! Keep it up! 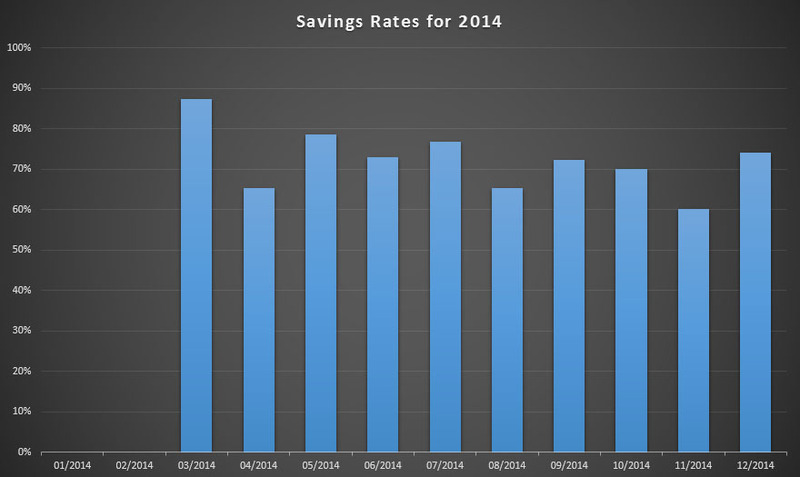 Congrats on a fantastic 2014 savings rate! You’ve left me in the dust because my all-time best was a modest 55%. Best wishes for success in 2015! I wouldn’t call 55% modest, but thank you for the kinds words! Your consistency is amazing NMW, what a benchmark you’ve set for yourself! Also just shows the power of focusing on savings rate and having a clear goal – you can spend a little more if you so desire when you get little bumps in income, and still keep sailing smoothly towards FI! Focussing on a savings rate rather than a pre-determined budget has been a huge help to me indeed. And if you really want something there’s no way you’re not going to make it if with a little bit of luck. Hope everything is well over there! That’s an outstanding savings rate! Especially considering you went on Holiday too! You’ve had a fantastic year. I look forward to seeing how well you do in 2015 too! Likewise! Can’t wait to see where 2015 will take you. You are killing it Waffles! Excellent job! It’s impressive that you’ve been able to keep your savings rate so high after you moved out. Thanks, Kate! You’ve been doing great yourself with paying off your debt. Just goes to show that it can be done, buddy! Don’t give up and I’m sure you’ll be able to reach a 70% savings rate too one day. Amazing. I have not been able to come close to that (i think we are at about 20%) Good luck and interested to see how 2015 goes for you. Best of luck to you to in 2015! Looking forward to see you reach the $800,000 in net worth. What a great savings rate, very impressive! Found your blog from a comment on another. 1 – you are a SAVINGS MACHINE! Good work getting properly cracking on generating some passive income waaaay before you’re 30. Getting the passive income ball rolling isn’t easy and definitely not fast in the beginning, but by doing it now I’ll have a huge advantage by the time I turn 30. I’m sure I’ll be able to cover a significant portion of my expenses with dividend income by then. Haven’t run into your blog yet, but I’ll definitely check it out! Wow, nice job on the very high savings rate! If you can keep your fixed costs this low your dividend income will quickly cover a significant part! Do you find it difficult to spend this little on groceries? Thank you very much! The idea is to keep my fixed costs this low for the foreseeable future indeed. That’ll give a big boost to my dividend income and my savings rate. December was quite expensive groceries-wise because I bought quite a lot of beer, but in general I don’t find it hard to save on groceries. I’m not even paying a lot of attention to what I’m buying. I just make sure that I buy the best price/quality products in the cheapest stores. One way to further increase savings there would be to use coupons a lot, but I don’t have the time (nor patience) to do that.